Albatros D Va replica G-BFXL is being prepared for flight at Yeovilton. 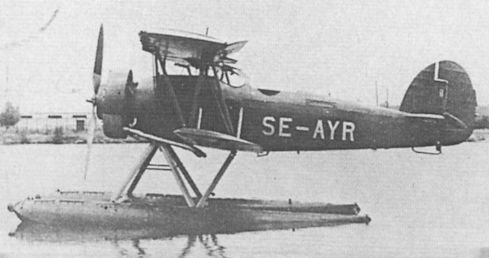 Note the large lumps of ballast bolted into the nose to compensate for the underweight engine. 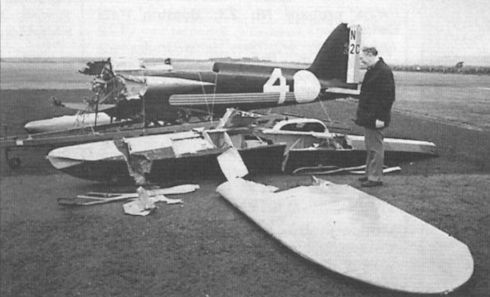 The remnants of Super­marine S.5 replica G-BDFF/ N220 before its rebuild. 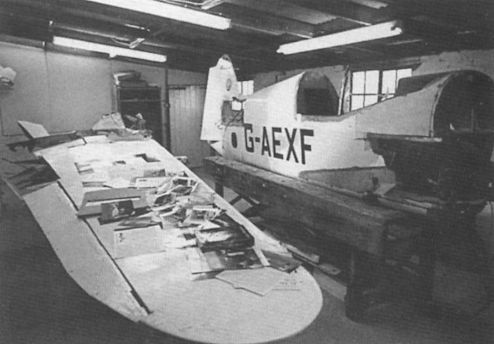 Percival Mew Gull G-AEXF in the workshops of Skysport Engineering on February 26, 1986. Skysport are to restore the Gull for new owner Desmond Penrose. Hawker Osprey SE-AYR, photographed in the late Forties, has recently been recovered for restoration in Sweden. Ex-RAE de Havilland Devon VP975 is the latest addition to the Science Museum at Wroughton, Wilts. 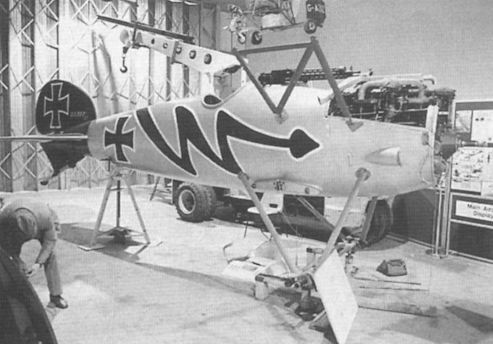 The fuselage of Deicke ADM 11 D-YHEX was recently rescued from a stable near Munich.